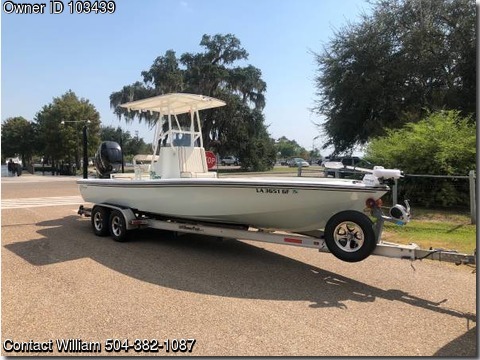 Boat is located in Mandeville,LA.Please contact the owner @ 504-382-1087..2008 Yellowfin 24 Bay Boat 300 Verado with all updates with jack plate 526 hours on boat and motor but still being used Boat was updated in 2015 with all new wiring and electronics. T Top with custom canvas top Twin Garmin 7610 Gps with integrated radio. Garmin 300 vhf with dash speaker New 112 lbs riptide Ipilot trolling motor with two remotes and new batteries. Twin 10' power poles with remote Custom upholstery with portable potty in console. Boat cover Boat is ready to fish or go to the beach Asking 69,999 call William 50438210eightseven.